We are a family-owned and operated, farm-to-table style restaurant located just outside of Kalamazoo in Texas Township. Our belief is that craft beer deserves craft food! Our menu features fresh, made from scratch options available nowhere else. Beer and cider selections are 100% crafted by us. They include familiar beer styles, hard cider made from apples grown in our family's orchards, and experimental small batch brews. Join us for a wonderful food and beverage experience in our 100 year old historic church, now renovated into a beautiful tap room! Texas Corners Brewing Company was founded by the Schultz family of Mattawan. Entrenched in the local community with their family farm in since 1951, Bill and Denise looked to expand their operation into something less weather dependent than agriculture. With award winning traditional cider already being made, they made the foray into hard cider in 2013. Events snowballed quickly from there, when they purchased the former Christ the King church you are inside today. Operations expanded into craft beer and a full service farm-to-table restaurant when doors were opened in March of 2015. 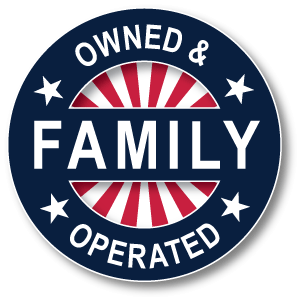 All of the family is involved in the family business. Bill and Denise run the farm along with their sons Bill and Dan. The third son Andrew manages the restaurant where he met his wife Ruth. Their sister Robyn lives out of the state, but still comes home occasionally to help. Dan and his wife Audrey have even started the 4th generation with two young girls – Lena and Ahna. Texas Corners Brewing Company is a homage to the family history which was started by grandparents Victor and Dorothy after WWII. A canvas near the bar is tribute to them. We look forward to providing quality craft beer, cider, and food at Texas Corners for a long time to come. After all, craft beer deserves craft food! Growing up on the family farm in Mattawan, Andrew Schultz has always had an interest in food - from growing it, to manufacturing and marketing, to consuming it. Andrew focused on food while at Michigan State University where he graduated with a Bachelor's degree in Agribusiness Management. Working for a global food company in Texas, he decided to return to Texas Corners when the opportunity presented itself to start a new family business from scratch. Check out the menu to see what seasonal creations the team at TCBC have crafted! While traveling the world Jeremy found a passion for craft beer and starting creating his own at home around eight years ago. Growing up in Western Michigan with its abundance of agriculture, and studying mechanical engineering at Western Michigan University has been Jeremy’s inspiration. He is dedicated to his community and incorporating the freshest, local ingredients possible in each of his brews. Check out our current tap list to see which of his creations you can try today!